When it comes to the internet, computing and data storage it always seems like there is a constantly changing “new best thing”. It usually is some type of breakthrough technology that will supposedly make your life or conduct business a lot easier. What is the current new best thing? The answer to that question would be cloud computing. Yes, it has some wonderful advantages when it comes to data storage, computer processing and ease of use, but it also comes with some potential drawbacks too. Here are some things to consider before making the switch to cloud computing. This is one thing that people often overlook when considering the use of cloud storage. It is 100% internet based so if you do not have internet access all of the time you will not be able to use the service or retrieve the information you have stored with them. Examples of this are when you are flying across the ocean on business. If you store data on your computer or other storage devices you are able to retrieve it even when not connected to the internet. Not only can there be internet connectivity issues on your end that keep you from getting to your stored data and other cloud services, but the cloud service provider themselves might have technical issues on their end too. They can have issues with their servers, power issues or any of an assortment of other potential issues that will keep you from accessing their service. Using software that operates with cloud functions and cloud storage capability is a relatively new idea in computing. Since it is so new, nobody really knows what issues can come up security wise. If you are like most people you will wonder just how good cloud security is and if the data that flows back and forth from there is as safe as you would expect it to be. Your small server or group of PC’s that are at your office are probably not a strong candidate for internet data thieves but once you join a whole bunch of businesses on a cloud-based server your data will become a prime target for hackers. You will have to decide if this type of exposure of your data is worth the risks that cloud services will provide you or your company with. Cloud vendor services are technical processes that involve the heavy use of computer software; as such these services will need to constantly have fixes applied to them, have upgrades installed and also will be periodically shut down for maintenance. This is a not a situation where they might go down for a period of time but when they will go down for a period of time. It just might cause a situation where you will not be able to access the service they provide or the critical data that you need for projects, problems or other needs that arise from time to time. That is why it is important to subscribe to a cloud service that is somewhat reasonably close to your company’s time zone; most cloud providers will do their maintenance at night time when they do not have as many users. If you are in another time zone that is vastly different from theirs it may shut you down in the middle of the busiest part of your workday. 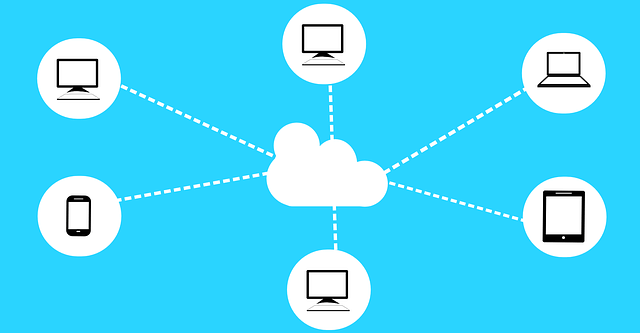 So although the switch to cloud base computing solutions may seem like a no-brainer, there are definitely some very important issues that each individual or company must consider on a case by case basis. What is in the best interests of other companies may not be in the best interest of yours.